The Amazon.com founder and CEO is a strong backer of gay marriage and an internet sales tax but otherwise fairly opaque. In a shocking announcement late Monday, The Washington Post Co. announced that it's selling its eponymous newspaper to Amazon.com founder and CEO Jeff Bezos for $250 million. Obviously, it's early to say how the sale and new owner will affect the direction of the newspaper. Most new newspaper owners (ahem, Rupert Murdoch) immediately vow not to interfere with the news reporting of the paper, though sometimes they don't keep that vow. As at many newspapers, Post editorial page editor Fred Hiatt reports to the publisher rather than the editor. Publisher Katharine Weymouth (as well as editor Marty Baron) will stay on, and no layoffs are expected immediately. But Bezos could potentially use the Post's editorial page to push his political views Indeed, it's hard to imagine what would induce a fabulously wealthy businessman like Bezos, who's not in the newspaper business, to jump in besides vanity and the chance to influence debate. As Hiatt explained several years ago, "In a sense we speak for the publisher, for the owner--but they don't review most editorials. Instead, they hire someone (me) who they think generally will share their world view." 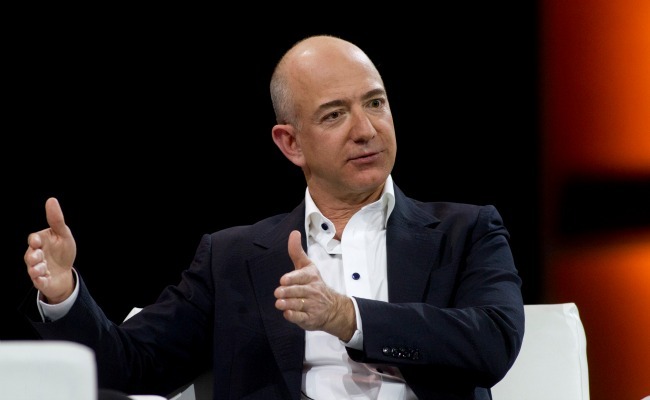 While Bezos is described as a private person, not all of his positions are mysterious. First and foremost, Bezos is a major backer of gay marriage. He and his wife MacKenzie pledged $2.5 million to support a referendum on gay marriage last year in Washington state, where he lives. The measure passed. The Post has been supportive of gay marriage, but has taken a gradualist approach -- praising, for example, the Supreme Court's move to strike down California's Proposition 8 without making equal marriage the law of the land nationally. Amazon has also been a major cheerleader for an internet sales tax, which the Post's editorial board also backed. Bezos has also given to several candidates for office, predominantly Democrats. Democratic Senators Patty Murray and Maria Cantwell of Washington have been the biggest recipients of his donations. He's also given to Senator Pat Leahy, a Vermont Democrat; Rep. John Conyers, a Michigan Democrat; Republican Spencer Abraham of Michigan; and Republican Slade Gorton, a former senator from Washington. He also given regularly to a PAC run by Amazon, which has roughly split its contributions between the two parties over the last 10 years. But all of that only covers a narrow range of the paper's interests. For example, the Post editorial board has tended to be fairly hawkish on foreign affairs, an area in which Bezos's views are unclear. UPDATE: Here's another good point. Amazon has been involved in various antitrust lawsuits over the years, in particular on the matter of pricing for ebooks. Buying the Post could give Bezos a megaphone in D.C. should his company become entangled with the Justice Department.